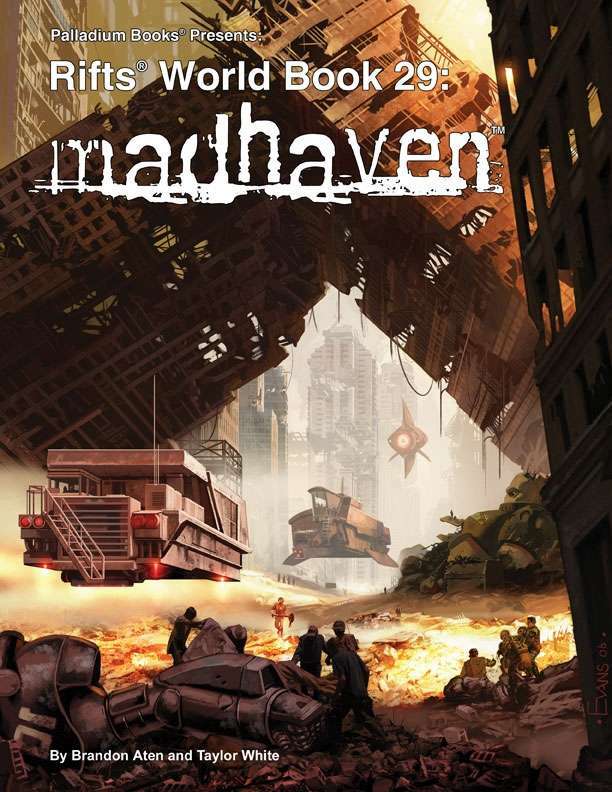 The ruins of Manhattan – better known as Madhaven – are a place of madness, ghosts and monsters. For some the ruins offer the promise of ancient secrets, power or treasure. For the mutants who inhabit the shattered landscape, it is truly a haven. For the Knights of the White Rose it is a hiding place. For many others, however, Madhaven is their doom. The ruins of Manhattan, its history, its curse and its inhabitants. The Mutants of Madhaven; 7 new optional player characters or villains. The ghosts and monsters of Madhaven and their weird powers. The Knights of the White Rose, their secret and their redemption. The magical White Rose, the greatest healing power on Rifts Earth. Techno-Wizard weapons and devices, plus M.D.C. bone weapons. Adventure setting, ideas and more. 128 pages written by Brandon Aten, Taylor White and Kevin Siembieda. This title was added to our catalog on July 12, 2016.